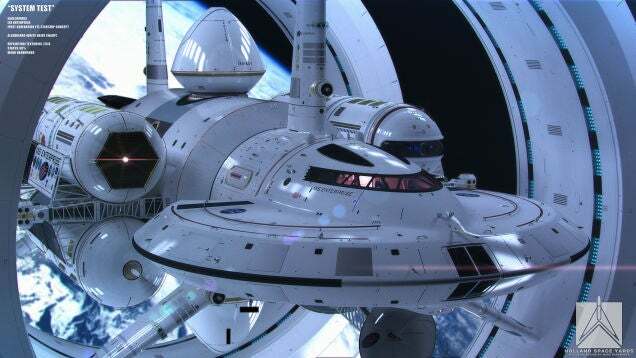 Just under a year ago the internet cranked out dozens of stories on NASA's efforts to develop "warp drive" technologies. And just under a year ago, dozens of scientists and science bloggers explained that while Einstein's general theory of relativity let's you describe a warp drive, that doesn't mean that the universe will let you build one. I blogged about it, as did many others. The pictures are undeniably cool, but they are more fiction than science. The NASA project is being led by "Sonny" White, and involves something called a White-Juday interferometer. I did a back of the envelope calculation last year, and couldn't see how White's claims stacked up, nor has the interferometer been described in a peer-reviewed paper. (And looking back, my analysis was over-generous by a factor of trillions, since I assumed that the system had a kilogram worth of "negative mass matter", a preposterously large amount for any lab-based setup.) Conversely, I am not aware of a single reputable scientist who takes this project seriously. Rademaker himself appears to have worked pro bono, but NASA is spending tax dollars on this project (not a lot, but some) at a time when real missions are being cut. However many hits this generates, NASA is squandering reputational credit on junk science and serious outlets are running this clickbait as news without applying even the most cursory of sniff-tests. I wish it wasn't true.